Your property is going through some minor repairs or major refurbishment? This means you’ll have to deal with a lot of waste, piles of it! However, you can easily eliminate this nuisance – simply call Rubbish Begone on 020 3404 1106 today and order our refurbishment waste collection service! Did you know, that aside from your home, many other items can be refurbished? Instead of recycling and buying new electronics, many people choose to refurbish their old technology and use it again in perfect condition. This way waste is reduced by a substantial amount! We aim to make the collection of refurbishment waste a pleasant experience for our London clients – that is why our call centre works all the time! You can call whenever you need services and book right away! And you will sustain your budget since our prices are unbeatable! 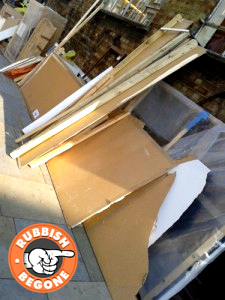 Call Rubbish Begone Now – Book Our Superb Waste Collection! We guarantee a hassle-free experience! We come to your property, load the waste and carry it away – it happens in no time! No load is too big or too small for us – we will help you no matter the circumstances! Either dial 020 3404 1106 or schedule a visitation online – you will receive an instant free quote! As soon as you hang up the phone, you can consider all that refurbishment waste gone!